Write a review of a Vancouver, B.C. based stoner band and get a download of an Italian band for free? Something like that happened to this blog recently. After the publication of the post of the EP 'Cluster funk' by Death Goldblum a link to Demo 3 was provided by an anonymous poster. We liked what we heard, so here's the review. To start we found that Bongley Dead is an Italian band. There was no guessing as this band sound as British as things go. For this blog Italy is not unique, but almost is. We've had a post on producer and songsmith Damiano della Torre and on the cd he produced for US/Swiss singer Beth Wimmer in 2012. In my record collection there's not a lot of things Italian. An album by Negrita from the start of this century and a few 45s from the 60s, inherited from my late aunt. That will be about it. So Demo 3 is fairly unique in my home looked at from the country of origin. The music isn't though. 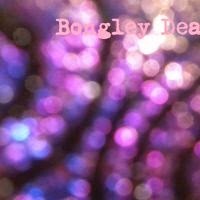 Bongley Dead produces a fun storm of late Britpop in the way The Libertines raged just after 2000, Supergrass in the mid-90s. So pop with a punky sauce delicately draped around it, without a fear to rock out as well. 'Summer house' is a great example with some quieter passages as well. No 'Follow' is, no ... Sorry, I seem to like them all. So everyone wanting to hear delicately played music knows he/she can stop reading here. Bongley Dead cooks up a storm. Certainly for a trio. The mix is tight and closed. Simone Pippi is a power drummer hitting his skins and cymbals at full strength. The same goes for bassist Federico Seghi, who takes care of the deep end, helped by some sort of a pedal adding to the sound or not. Together they make sure the foundation of Bongley Dead is extremely sound. That leaves room for singer and guitarist Marcello Rossi to make the band come alive. And together they make Demo 3 come alive. 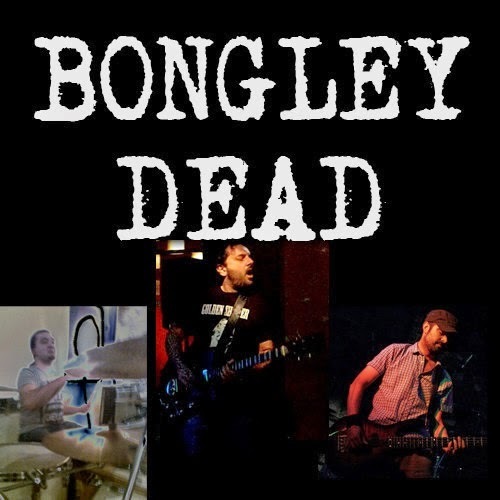 The songs are loud, uptempo by so ultimately melodic, that Bongley Dead delivers the best sort of alternative rock imaginable. The voice of Marcello has a rougher edge without being deep. As such it makes me think of Dutch singer Maurits Westerik of Gem. The most so in 'Driving nowhere'. Bongley Dead compares very favourably to Gem. The songs are more free-flowing. If anything the Italian trio has found a way to sneak a pop element into its songs that make them sort of irresistible to me. (As a tip, contact Dutch label Excelsior Records. You never know.) Another hint is Billy Corgan, but Marcello has more deepness, so can vary some more in the use of his voice. When in song 8, 'Shelter', the tempo finally goes down, the band convinces and shows that it does not have to be afraid of leaving a tiny air gap in it's music. A nice ending to the EP, except for the hidden track that starts after 8 minutes where pure punk is distributed to listeners' ears. Not my favourite of the EP, but everyone's allowed their fun. In the first eight songs Bongley Dead shows themselves apt learners of the louder form of Britpop and were able to give the songs a hint of their own stamp on music. If opening song 'A better daybreak' agrees with you, you better proceed. Demo 3 is full of songs like this. Loud, busy, melodic and pure punkpop filled with drums, bass and guitars. Yes, the kind of music I truly enjoy in the right portions. Demo 3 is over before I know it and the fun thing is I can put it on again and again and again while the smile on my face just grows and grows. Who brings these guys to the lowlands for some shows?